The TN visa is issued to citizens of Canada and Mexico who engage in business activities at a professional level in one of the professions pursuant to the North American Free Trade Agreement (NAFTA). The specific professions and the respective minimum qualifications for each profession are listed in the Appendix. These professionals may be issued TN visas and are admitted to the United States under TN non-immigrant status. Initial TN nonimmigrant status can be granted for up to three years by U.S. Customs and Border Protection (CBP). Usually, initial admission is made at the U.S. port of entry (land, air or sea). There are no limits to the number of times TN nonimmigrant status may be granted. A renewal of TN nonimmigrant status can be authorized for a period of up to three years, including their dependents. TN nonimmigrants are not permitted dual intent. They must demonstrate nonimmigrant intent at the time of application at the U.S. port of entry or when a TN petition is filed with U.S. Citizenship and Immigration Services (USCIS). The temporary nature of TN nonimmigrant status allows for full-time or part-time employment. 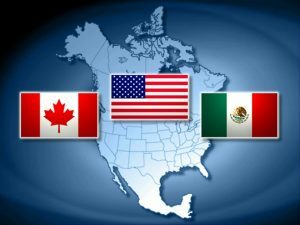 TN Dependents are not required to be a citizen of Canada or Mexico and may attend school in the United States if incidental to their status. However, dependent spouses and children are not permitted employment authorization. A TN’s business activities must occur at a professional level, which requires at least a baccalaureate degree or appropriate credentials demonstrating status as a professional in a profession set forth in the Appendix. The TN’s work must include the performance of prearranged business activities for a U.S. entity, including an individual. It does not authorize the establishment of a business or practice in the United States in which the professional will be, in substance, self-employed. A professional will be deemed to be self-employed if he or she will be rendering services to a corporation or entity of which the professional is the sole or controlling shareholder or owner. The list of TN-eligible professions includes: accountant, architect, computer systems analyst, disaster relief insurance claims adjuster, economist, engineer, forester, graphic designer, hotel manager, industrial designer, interior designer, land surveyor, lawyer, librarian, management consultant, mathematician, range manager/range conservationist, research assistant, scientific technician/technologist, social worker, sylviculturist, technical publications writer, urban planner and vocational counselor. Additional professions are also categorized within medical/allied professionals, scientists, and teachers. If the post-secondary diploma is awarded from a Canadian or U.S. accredited academic institution or a post-secondary certificate is issued from a Mexican academic institution, the CBP officer is permitted to accept the diploma or certificate at face value. Three-year baccalaureate degrees from Canada are also acceptable. A four-year baccalaureate degree from Canada or licenciature degree from Mexico is generally regarded as the equivalent to a U.S. bachelor’s degree. These degrees do not require an education credential evaluation. An education credential evaluation for foreign degrees may be provided as part of the TN application to the CBP officer at the U.S. port of entry. Foreign degrees are post-secondary diplomas/certificates, baccalaureate or graduate degrees issued from academic institutions outside of the United States, Canada and Mexico. If an education credential evaluation is needed, reputable credential evaluators will prepare a report based on the TN applicant’s academic documentation. The education credential evaluation will be utilized to demonstrate the TN applicant’s qualifications for the TN professional position. While professional experience cannot be substituted for a baccalaureate degree, in part or in whole, to qualify an applicant for TN nonimmigrant status, some TN professional positions do permit experience as an alternative minimum requirement for qualification (Computer Systems Analyst, Disaster Relief Insurance Claims Adjuster, Graphic Designer, Hotel Manager, Industrial Designer, Interior Designer, Management Consultant, Technical Publications Writer and Medical Laboratory Technologist/Medical Technologist). The TN applicant is not required to present evidence of a state/provincial/federal license with the TN application in order to be admitted as a TN nonimmigrant. TN applicants are not required to prove licensure as a prerequisite for entry into the United States. Nonetheless, after admission to the United States, the TN nonimmigrant must possess the proper state/provincial/federal license to perform the TN professional position if required by the profession or a state agency.